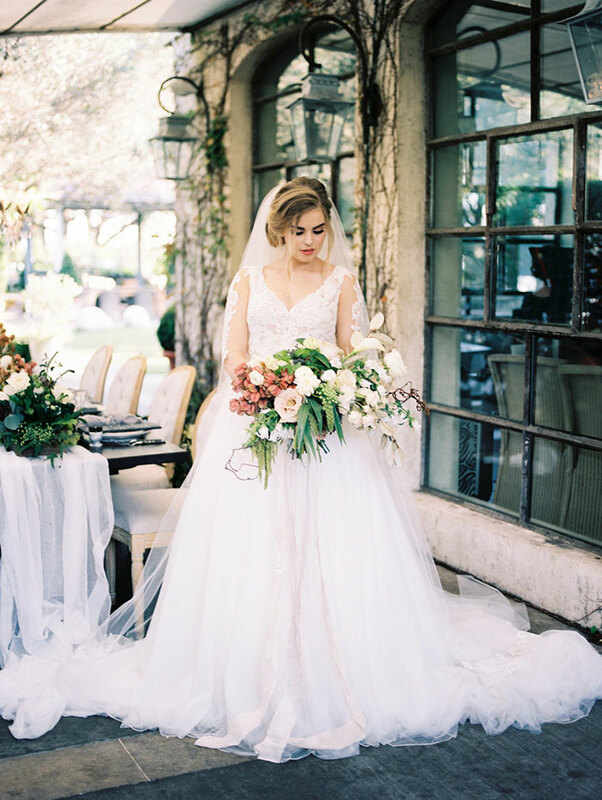 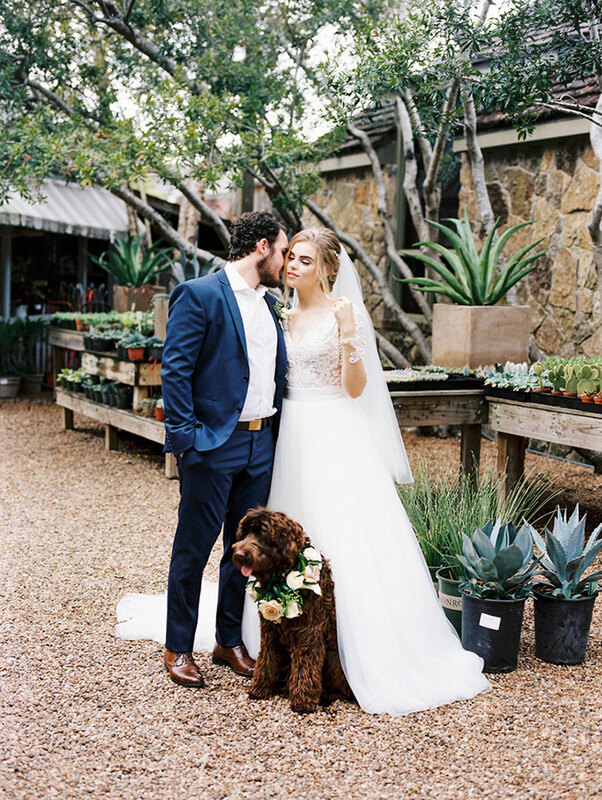 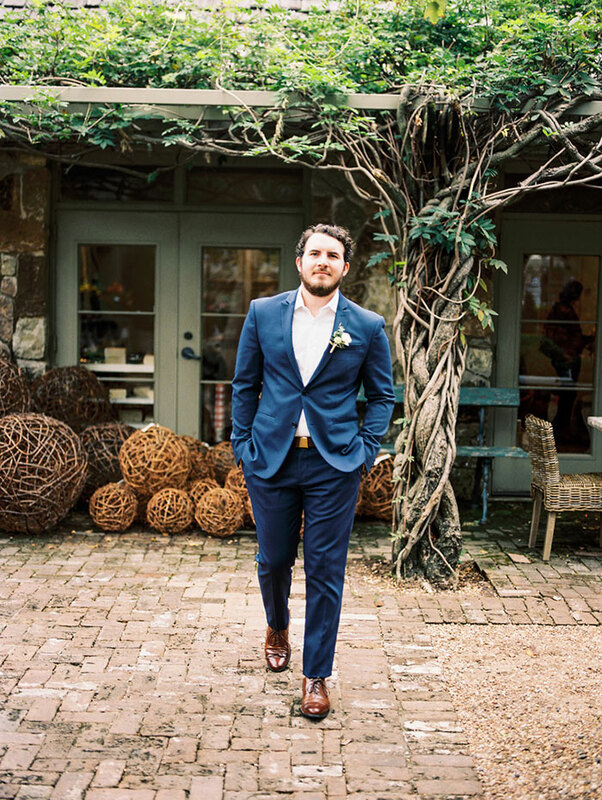 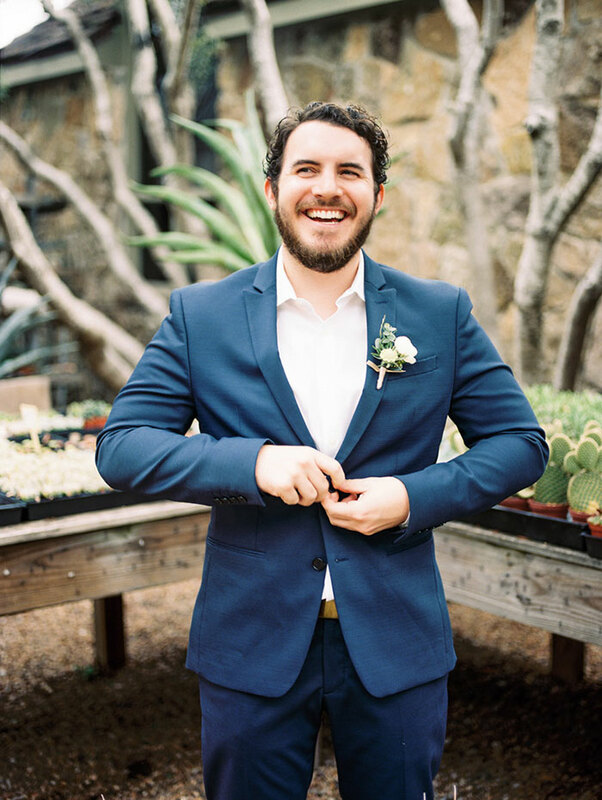 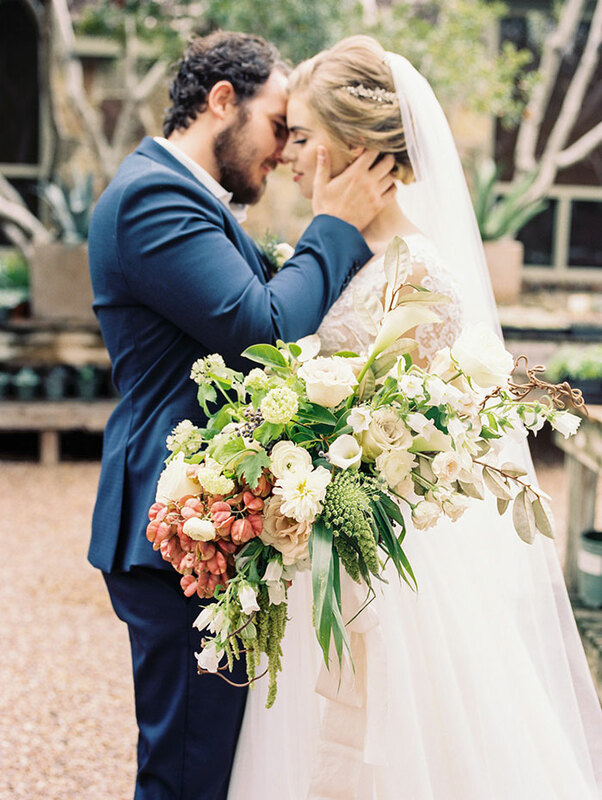 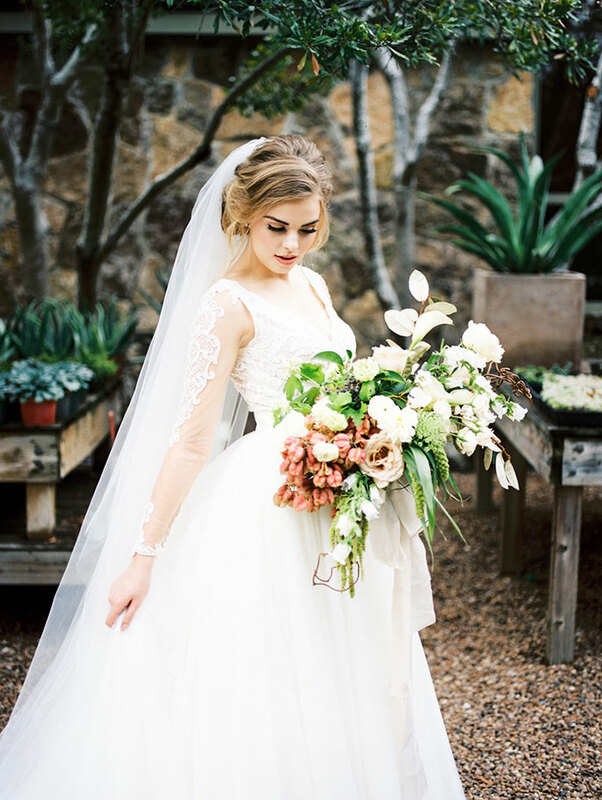 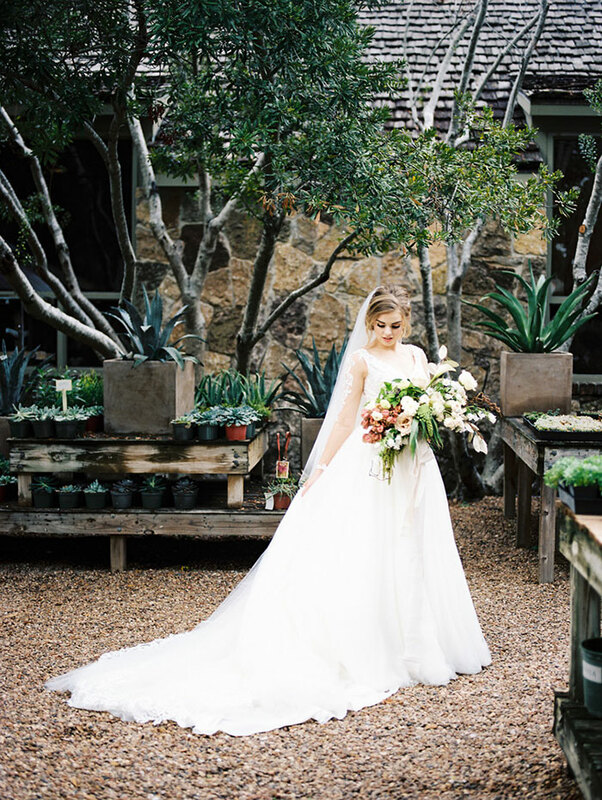 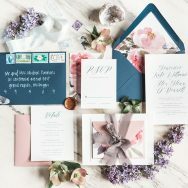 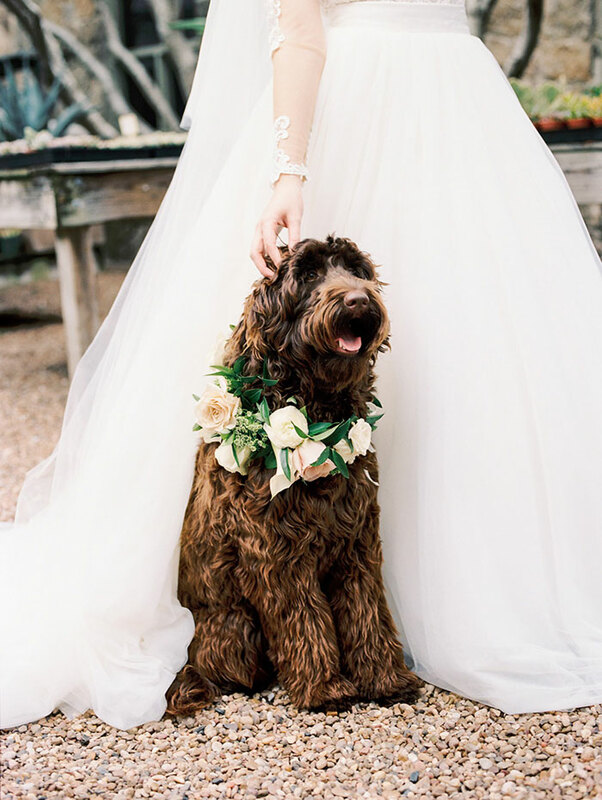 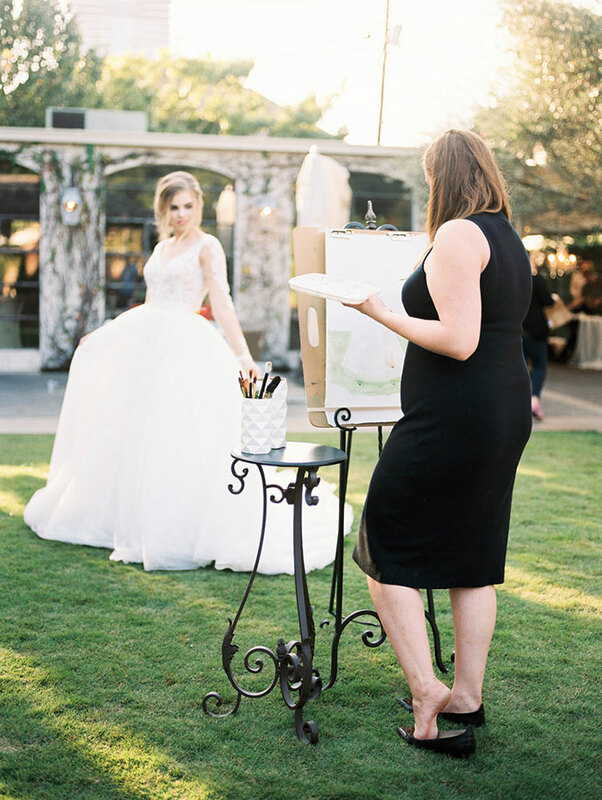 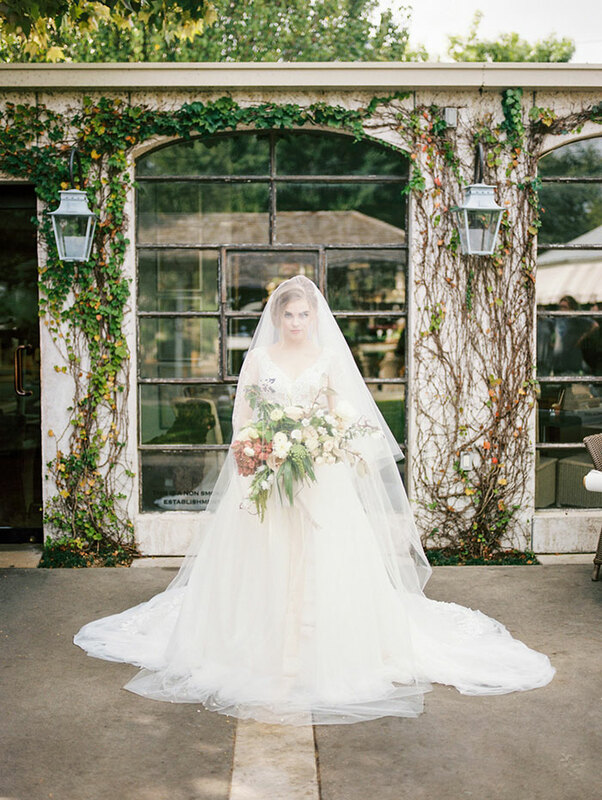 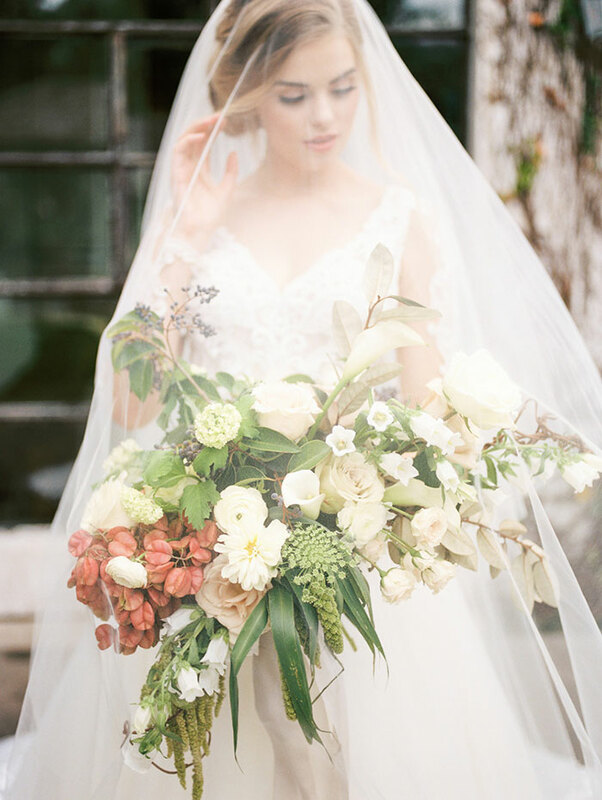 The inspiration for this shoot designed by Spell Events was derived directly from the whimsy of the lush surrounding of the venue Tiny Boxwoods in Houston, Texas. 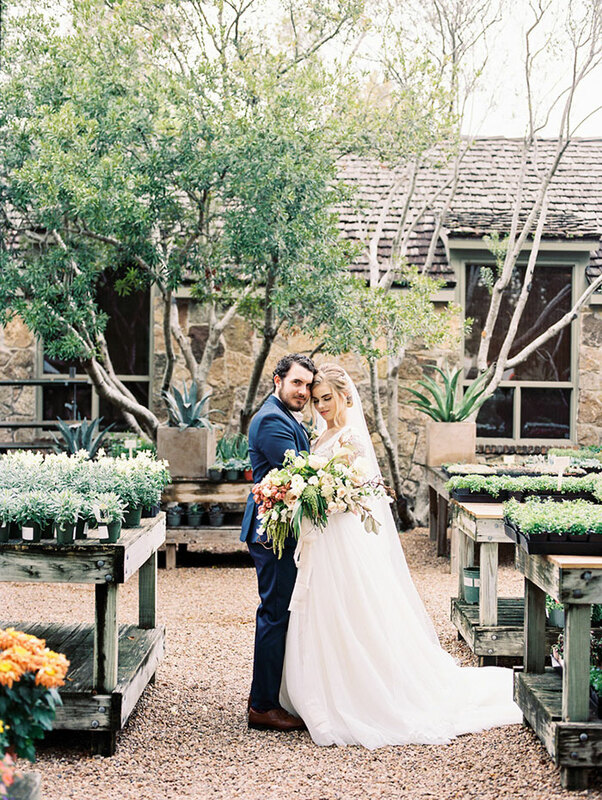 The gardens are filled with charm and ambience and the team wanted to match that whimsey with the style of the editorial details. 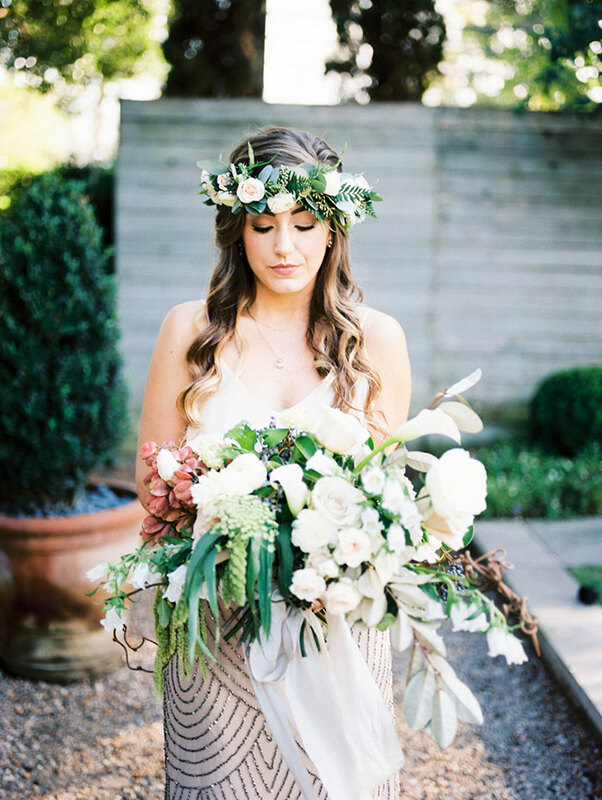 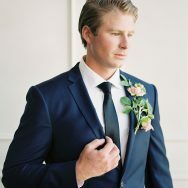 Bringing on floral-magic-maker Maxit Flower Design was a must. 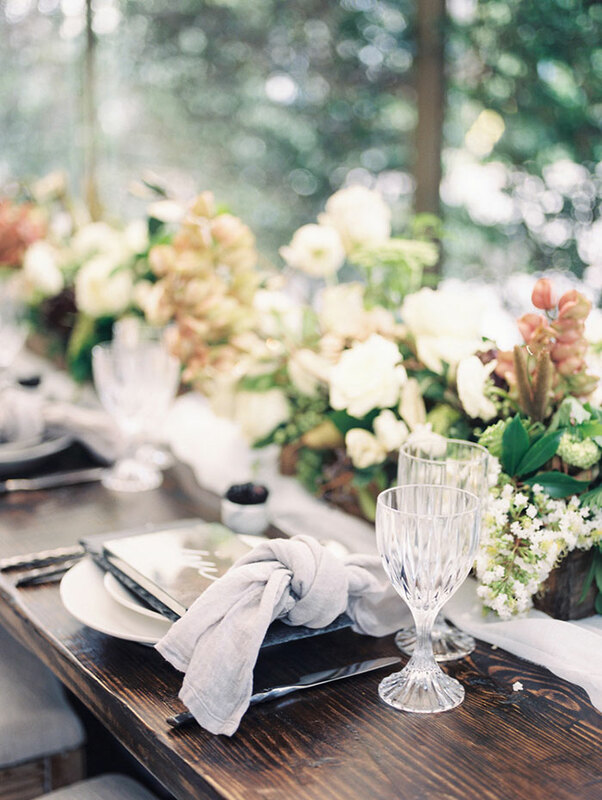 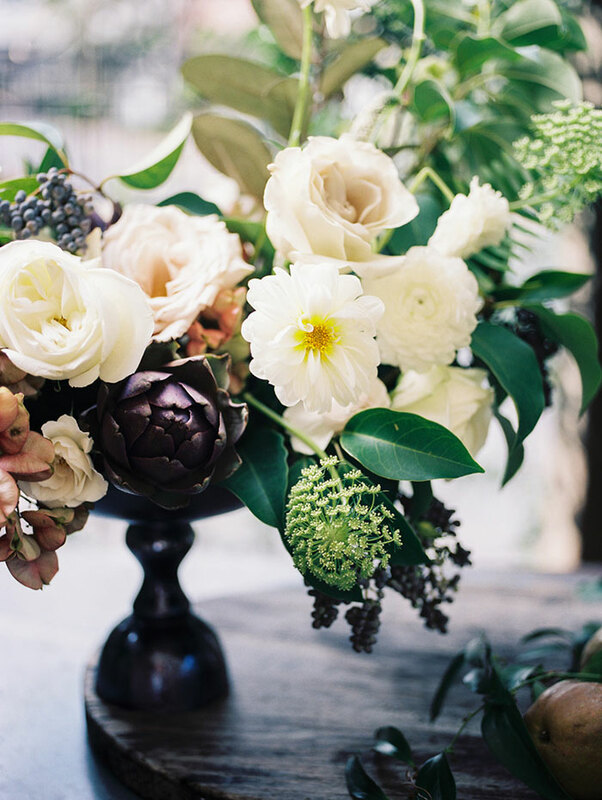 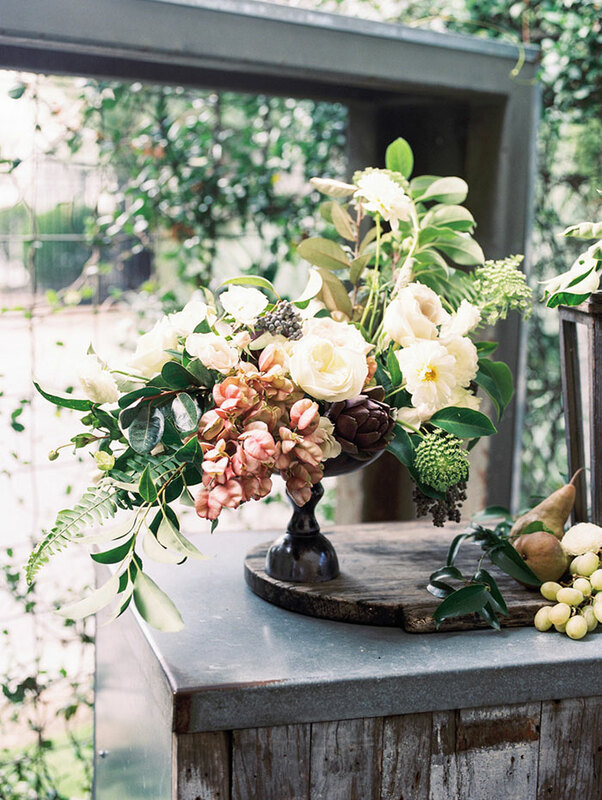 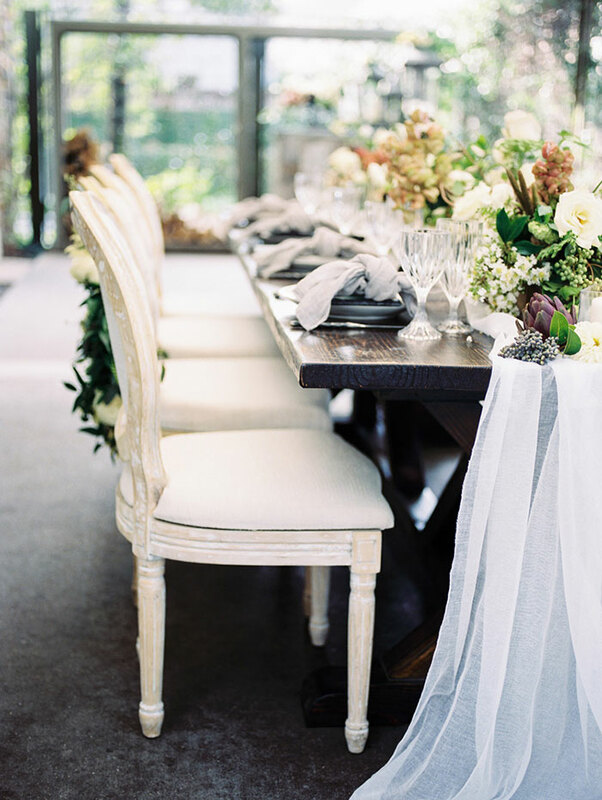 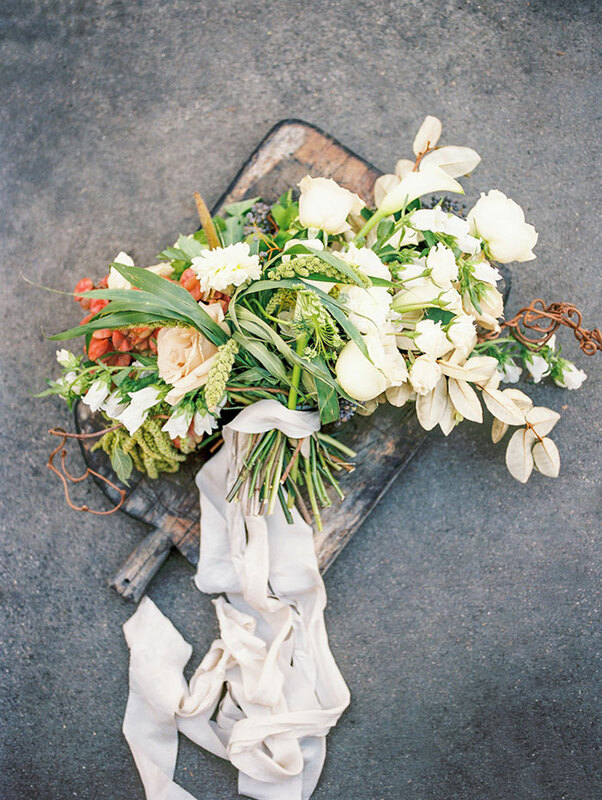 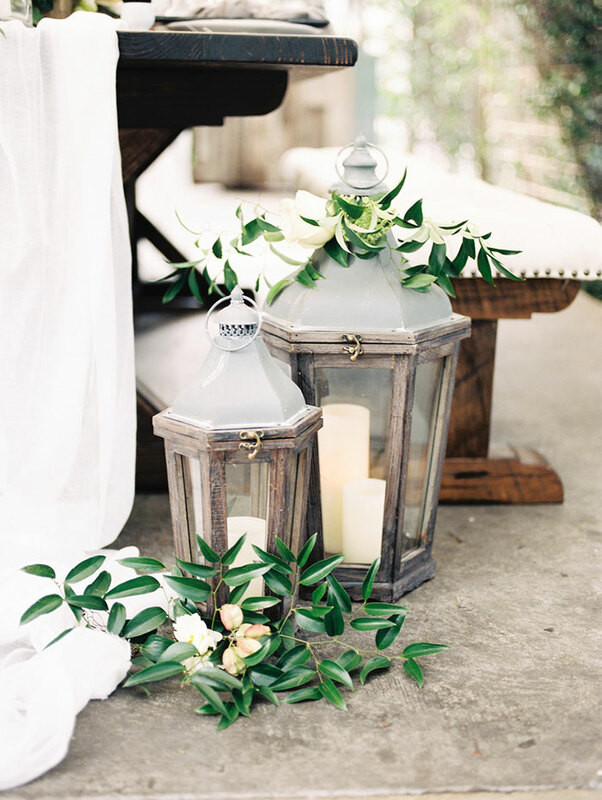 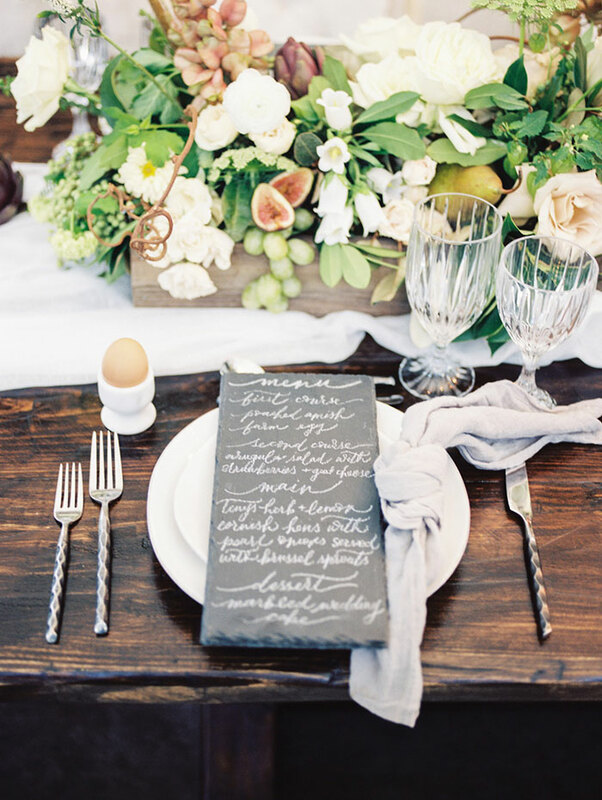 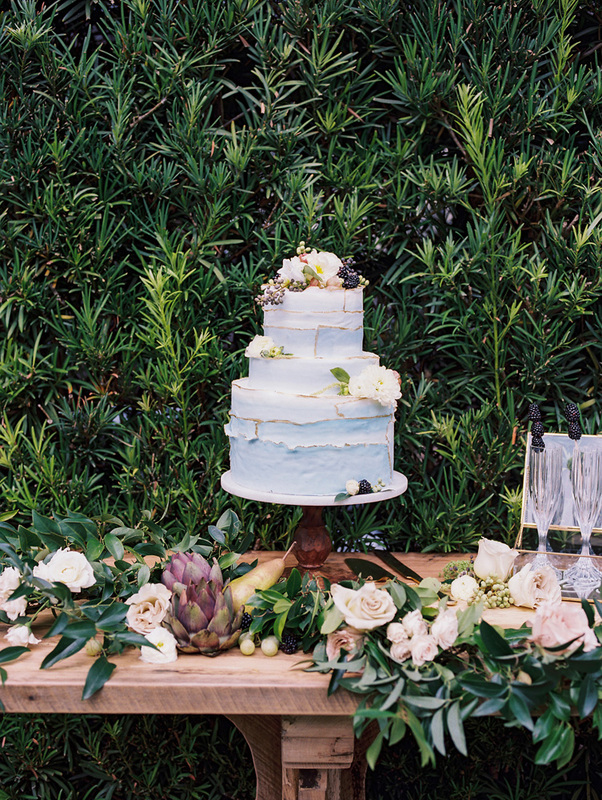 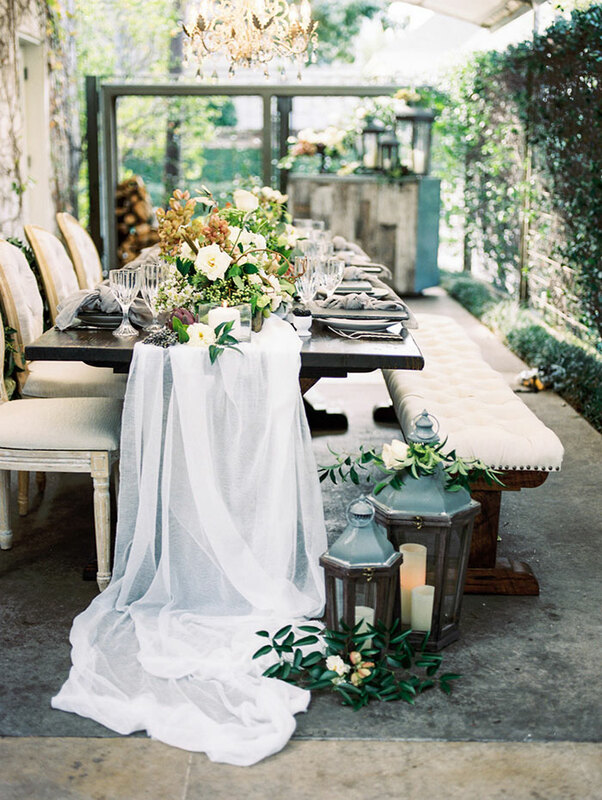 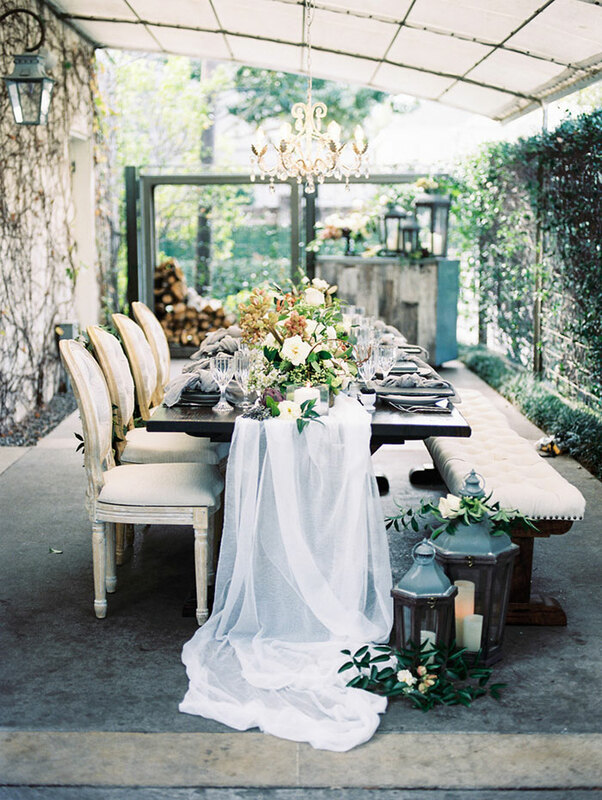 The abundant florals are romantic, graceful and filled with unexpected details like figs and seasonal fruits. 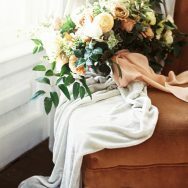 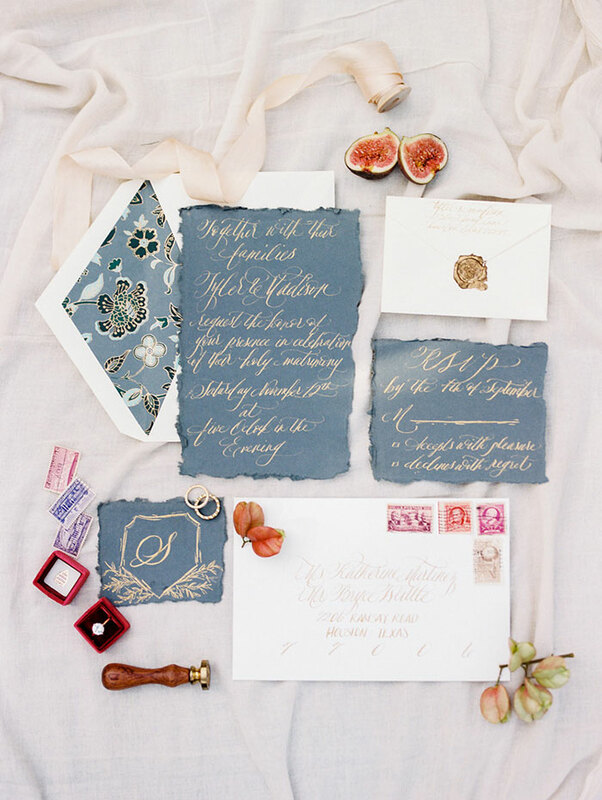 Silk & Willow‘s moody linens are the perfect accent to the colors and warm feels from Maxit’s arrangements, while A Fine Flourish added a timeless touch with calligraphy. 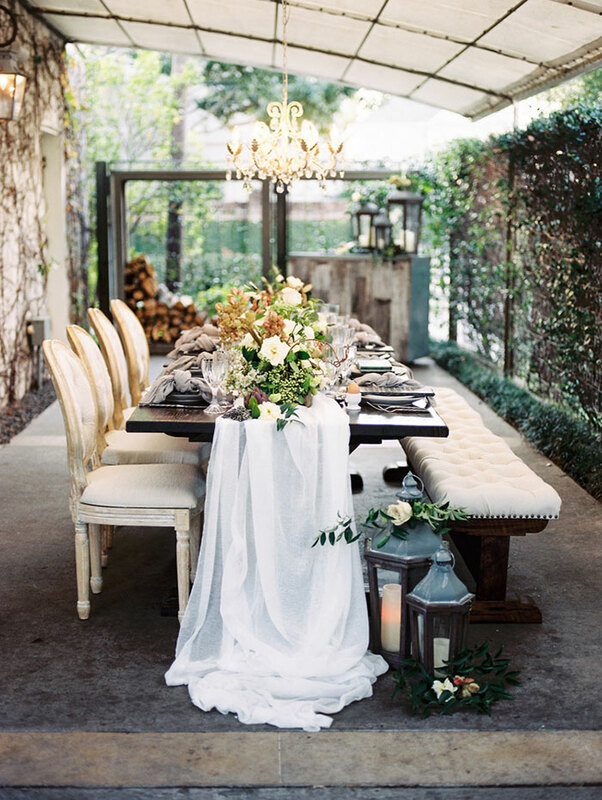 We’re loving all the rentals, but the farm table that was built for the shot by the design team is definitely a show piece. 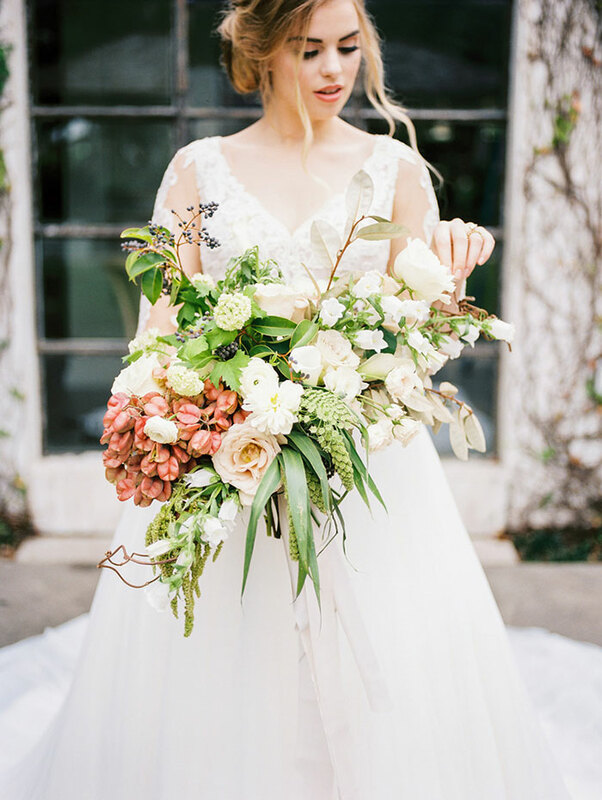 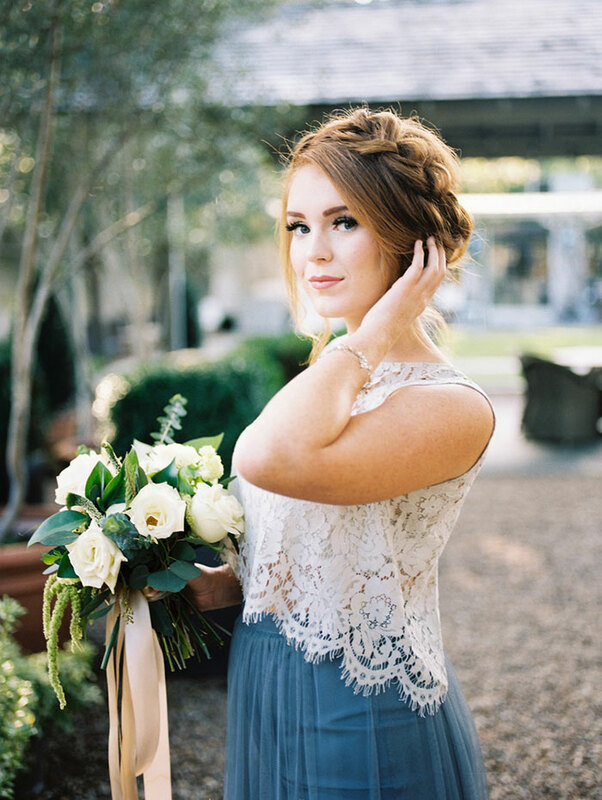 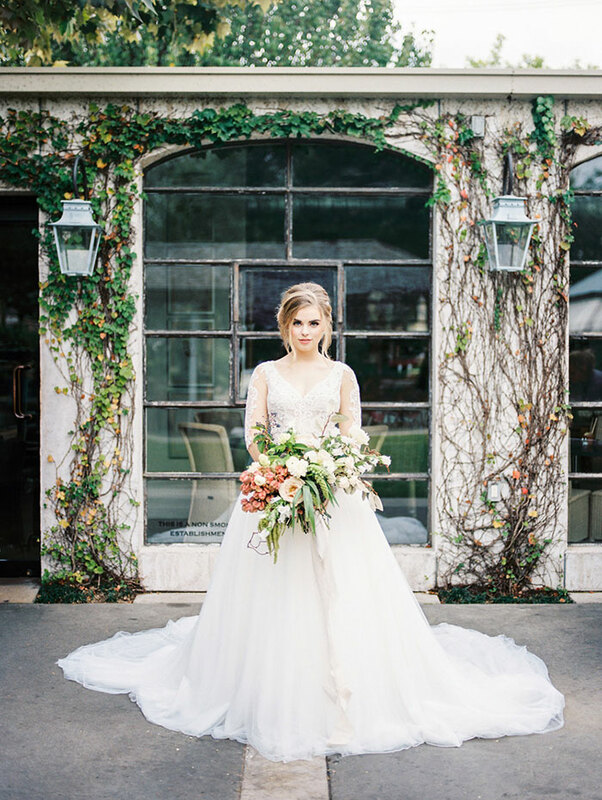 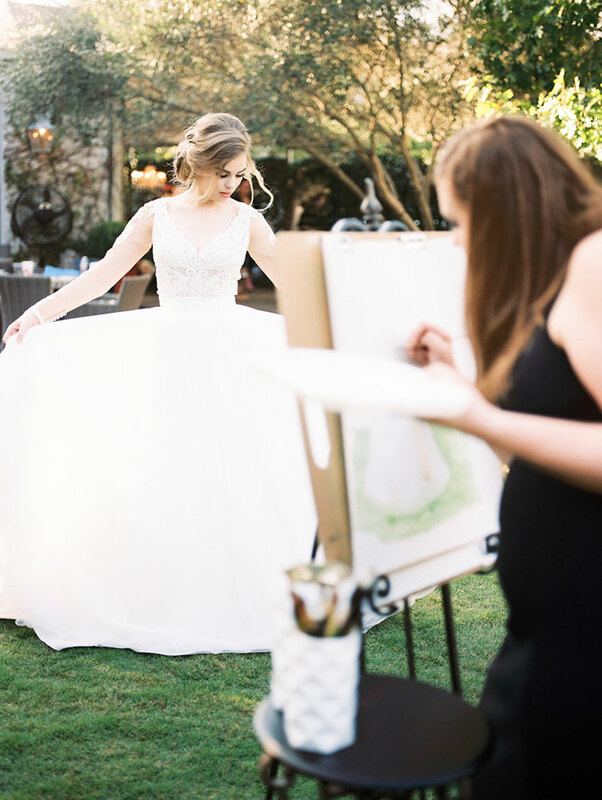 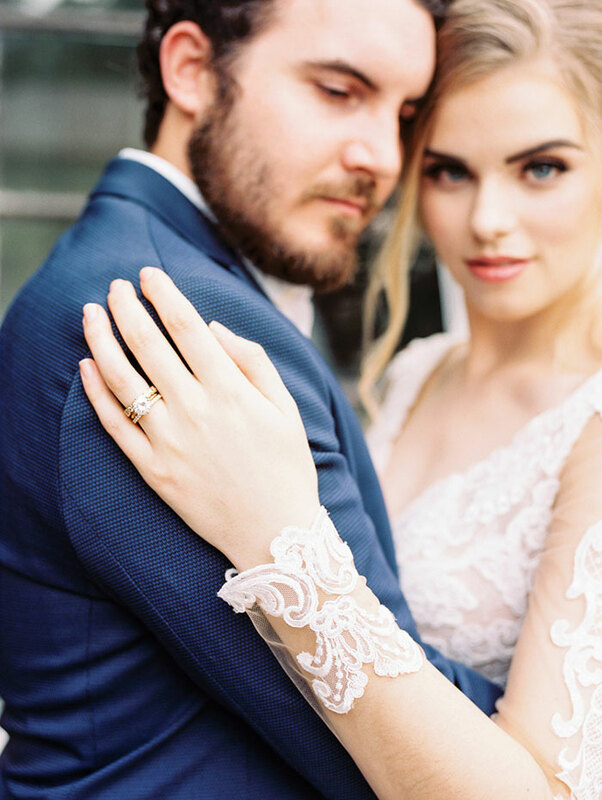 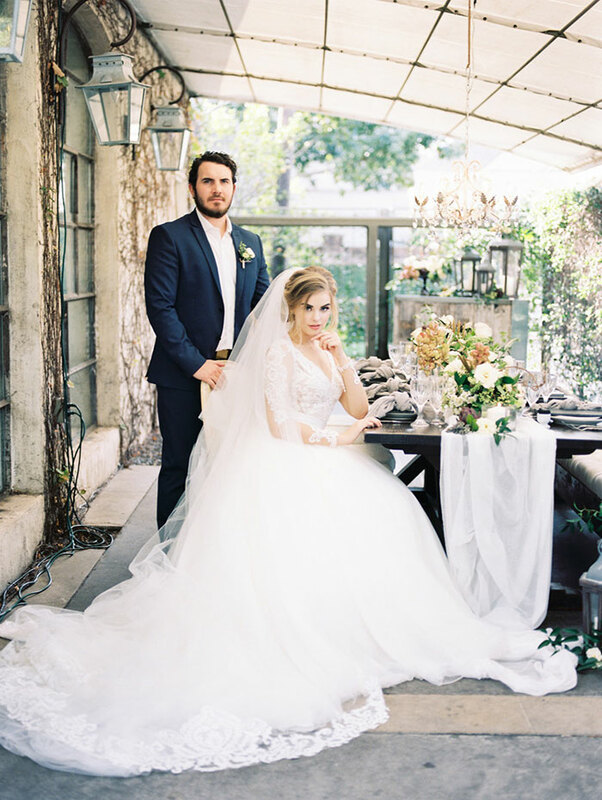 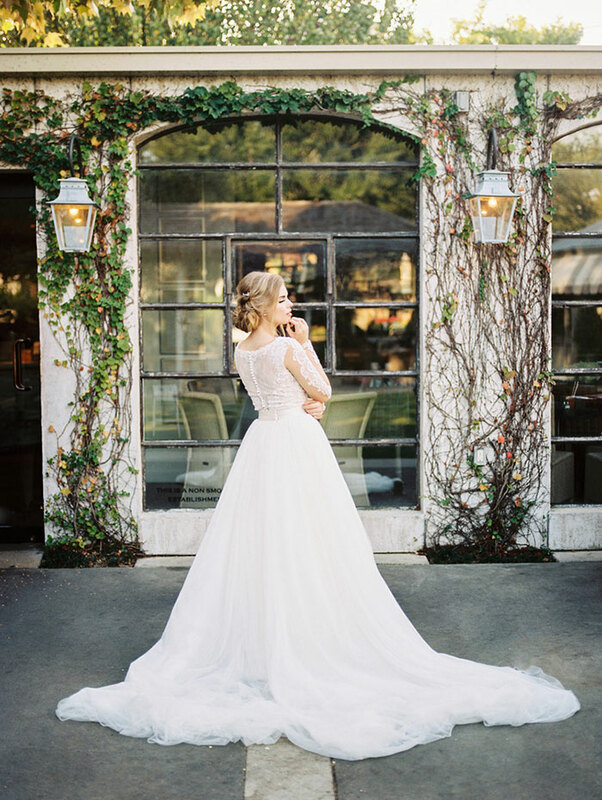 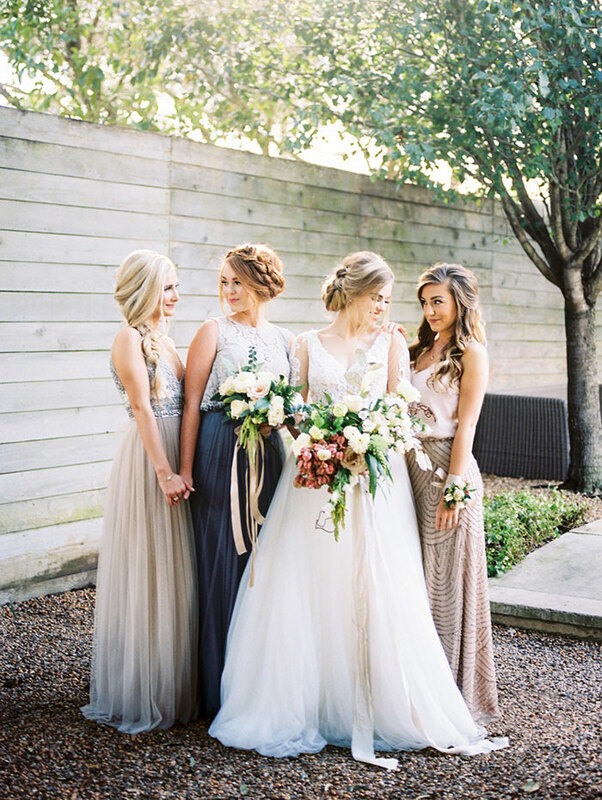 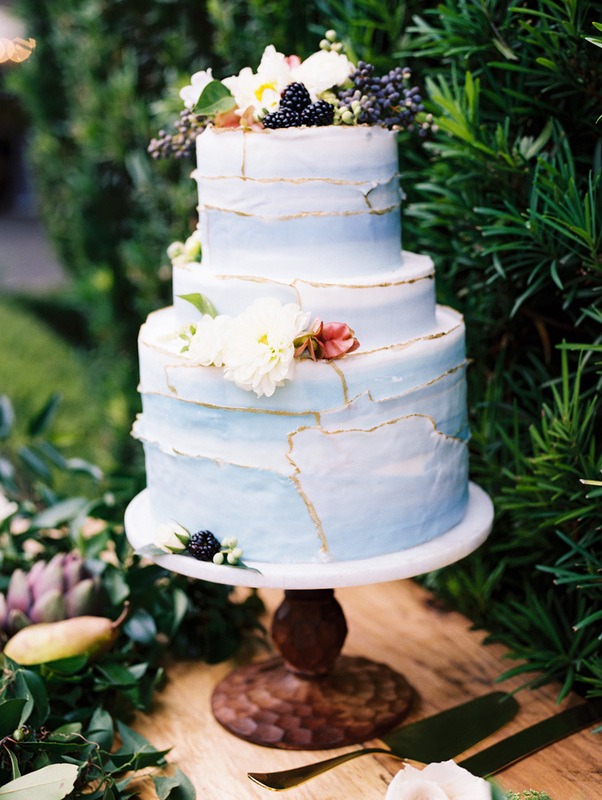 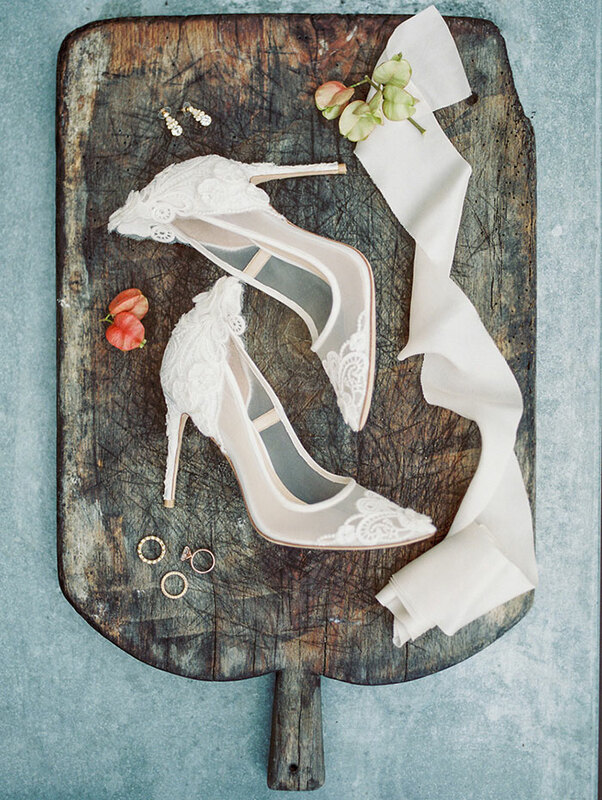 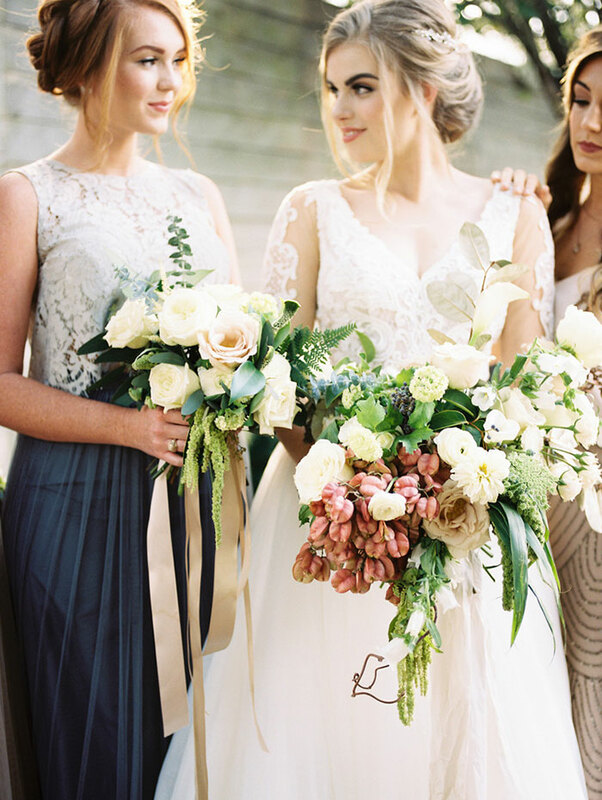 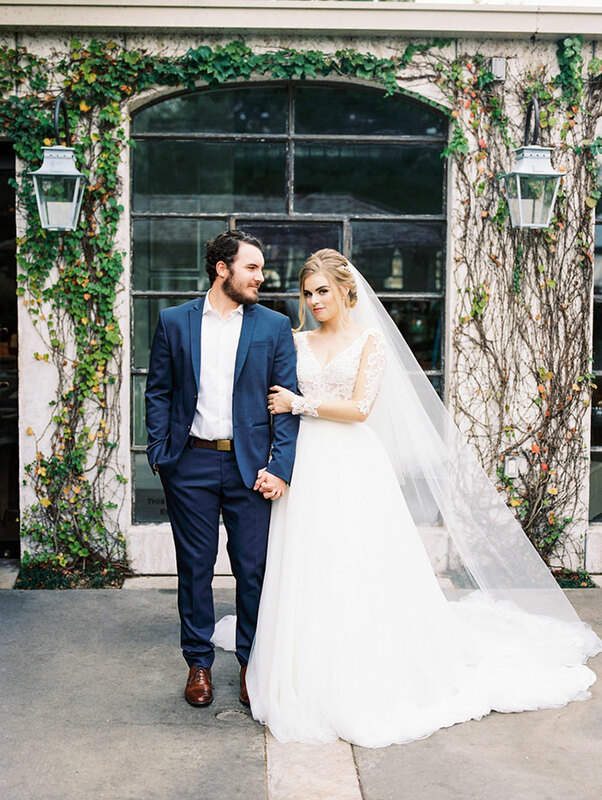 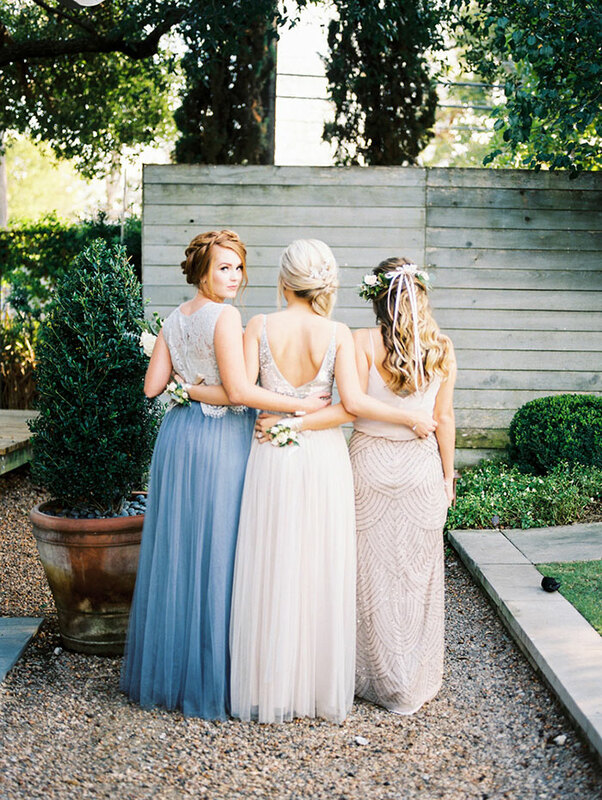 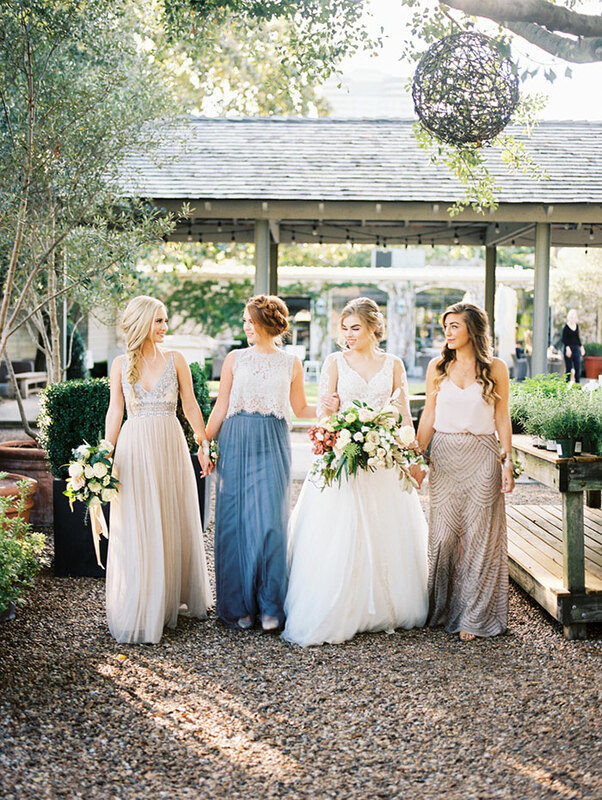 If romance and whimsy are what you’re looking for—this one has it all and every, single gorgeous detail is captured in these beautiful images by Awake Photography. 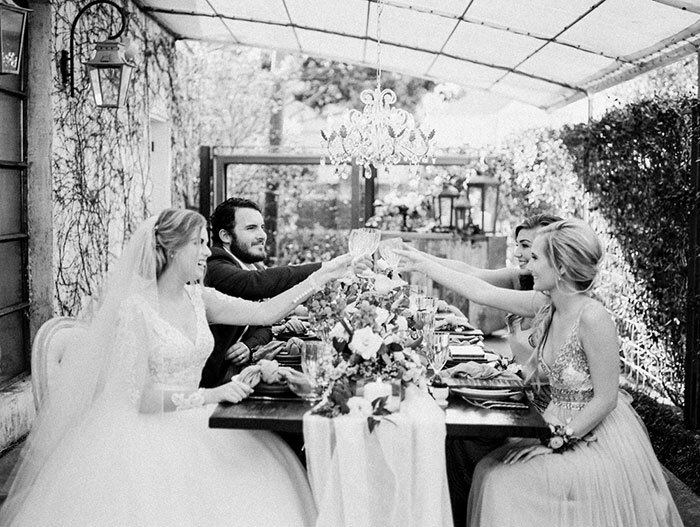 Adore the vintage vibe! 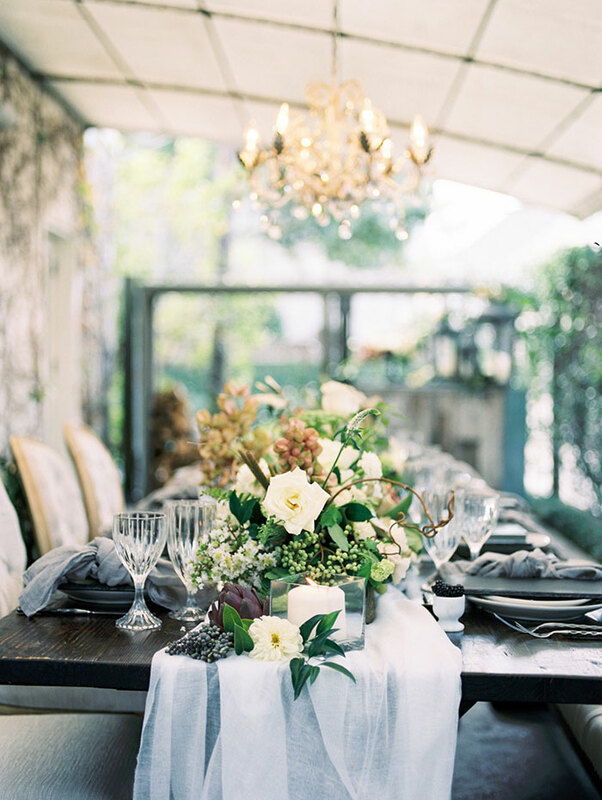 A chandelier at a wedding cannot be underestimated, so beautiful!